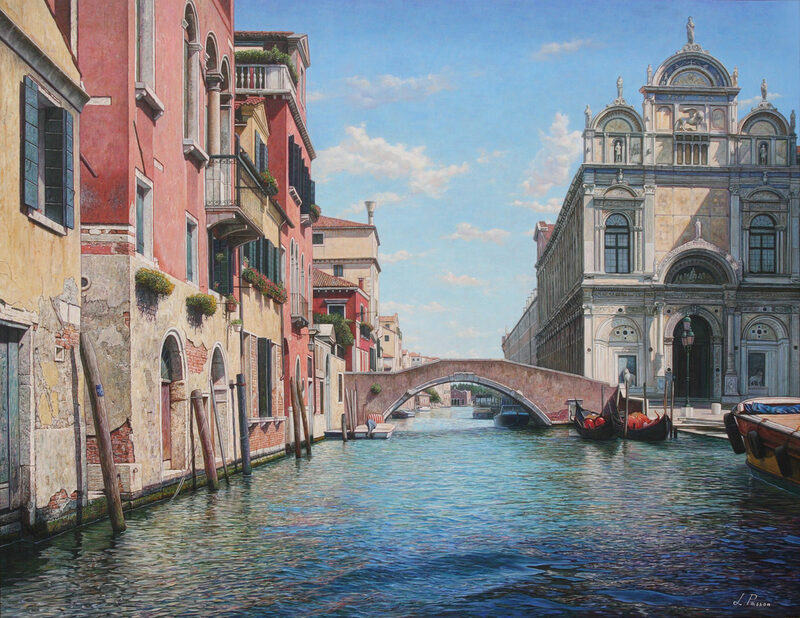 Using the techniques of the antique masters, Licio Passon gives new life to a genre which has never died amongst the most refined and demanding collectors who are content only when they admire something that can suggest aesthetic beauty, harmony and otium, in which they can find refuge for meditation, contemplation and from the hardships and banality of every day life. 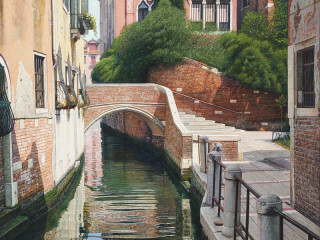 With an astonishing ability, this painters from Compoformido, can start off from an articulated drawing and accomplish a detailed analysis of whatever is in front his eyes, from the foreground to the background, where a scenic arch or architectural wings offer different focal points and perspectives in a successful combination between and the reality and the ideal. 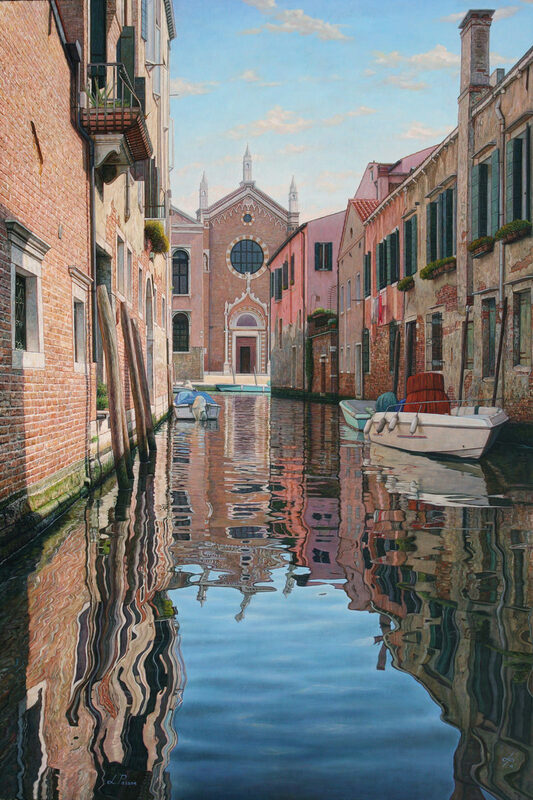 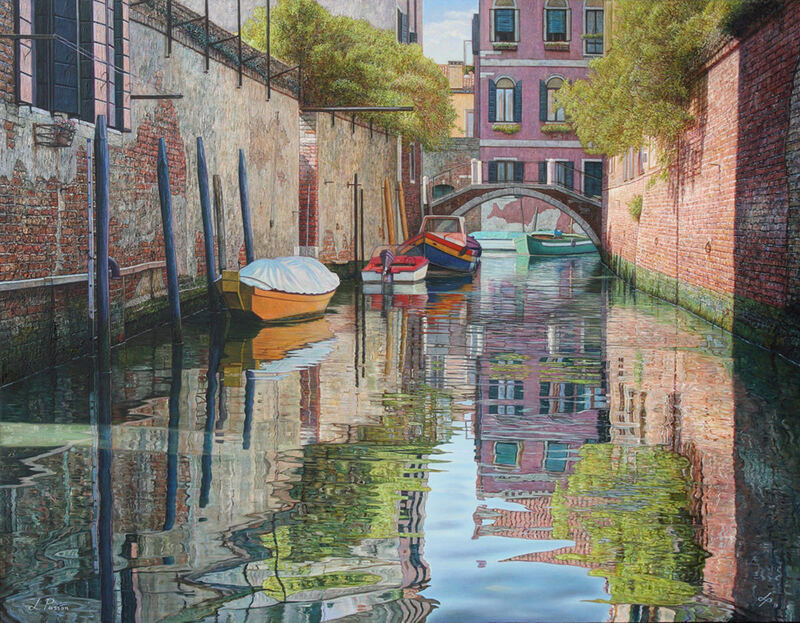 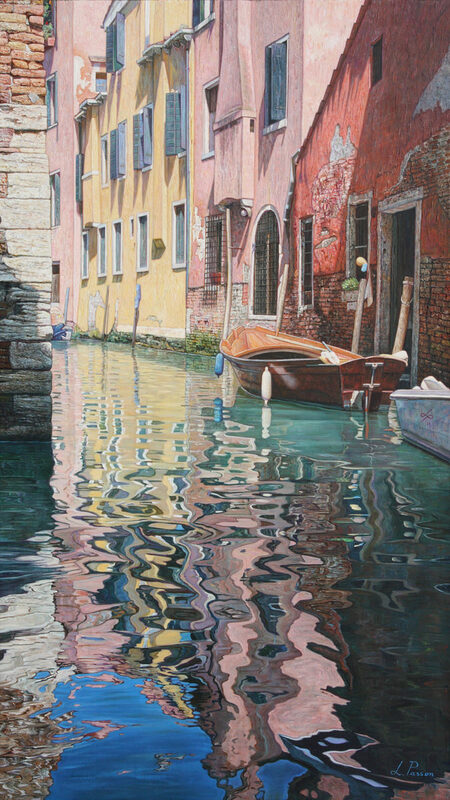 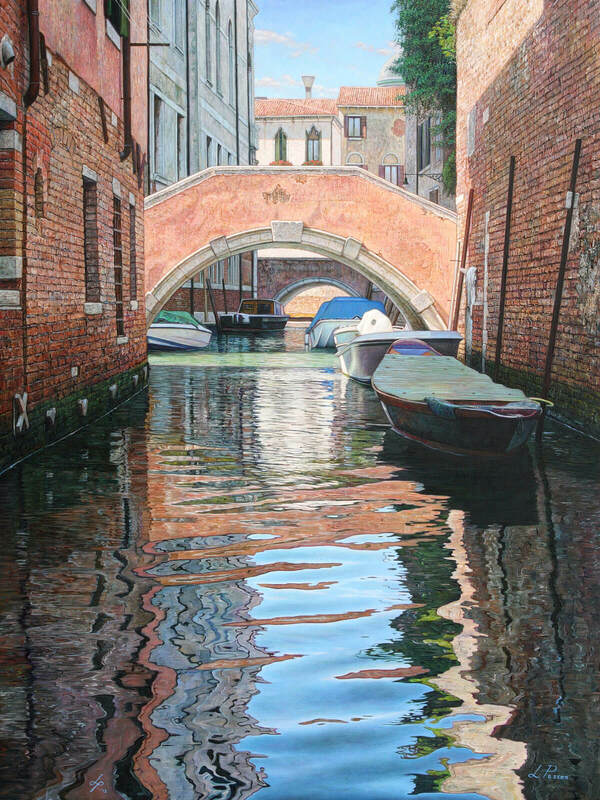 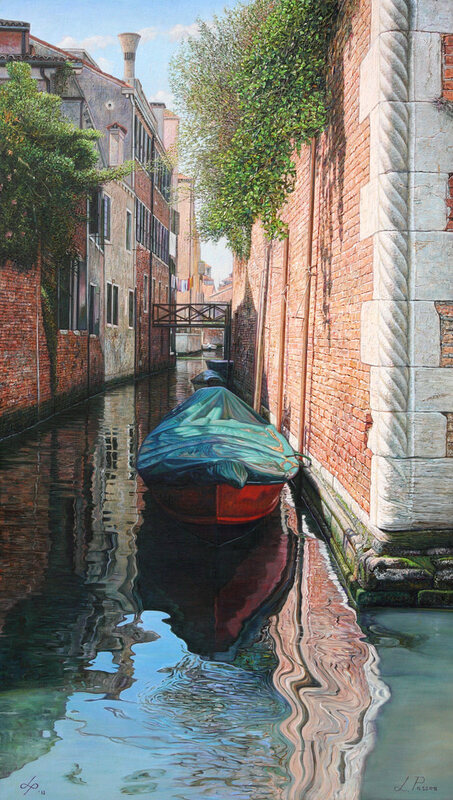 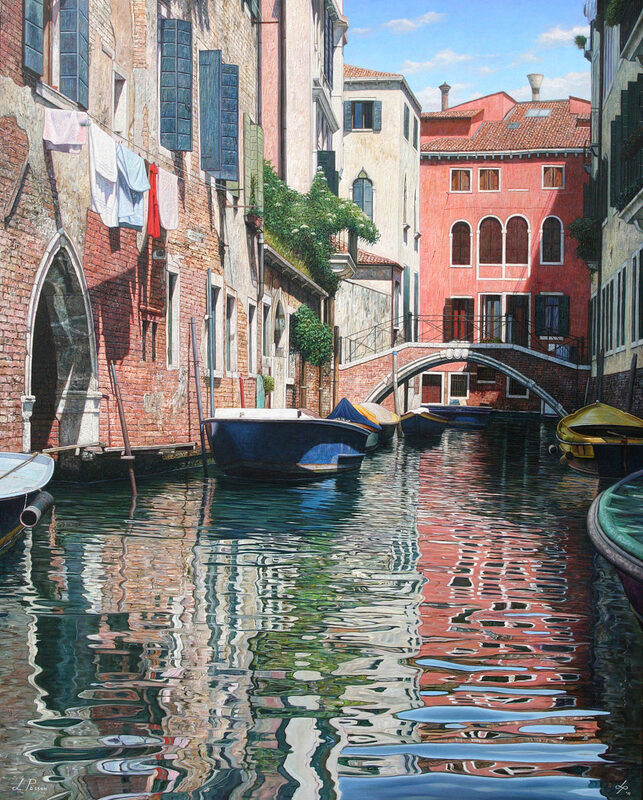 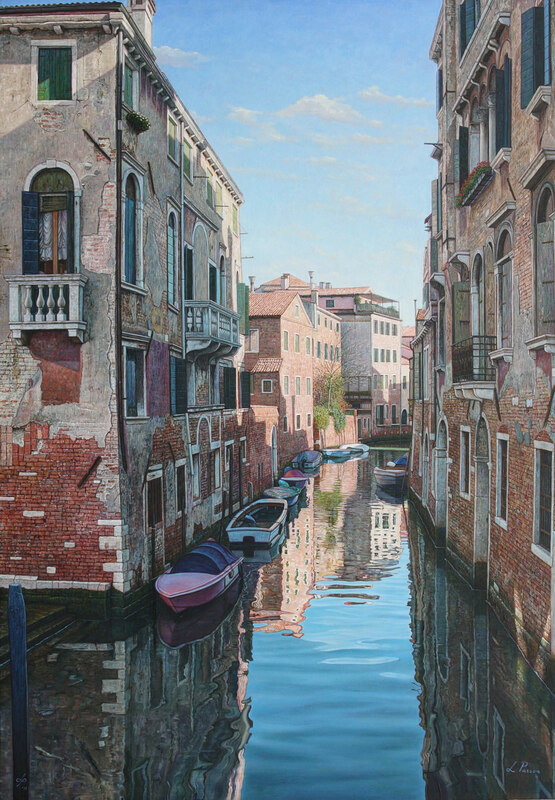 An accurate attention to the atmosphere renders the light in Passon’s works crystalline, unmistakable, encompassing and capable of changing at every hour, whilst remaining of Venice.